Free Shipping on ALL Orders. Do you need help? Please call us at (908) 233-6900. 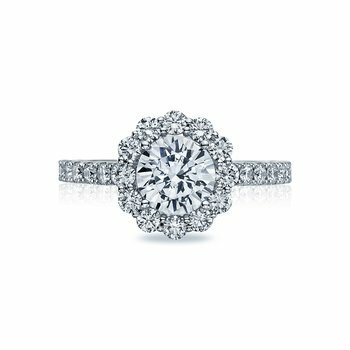 A perfectly round bloom highlights the round brilliant diamond at the center of this French cut style setting. 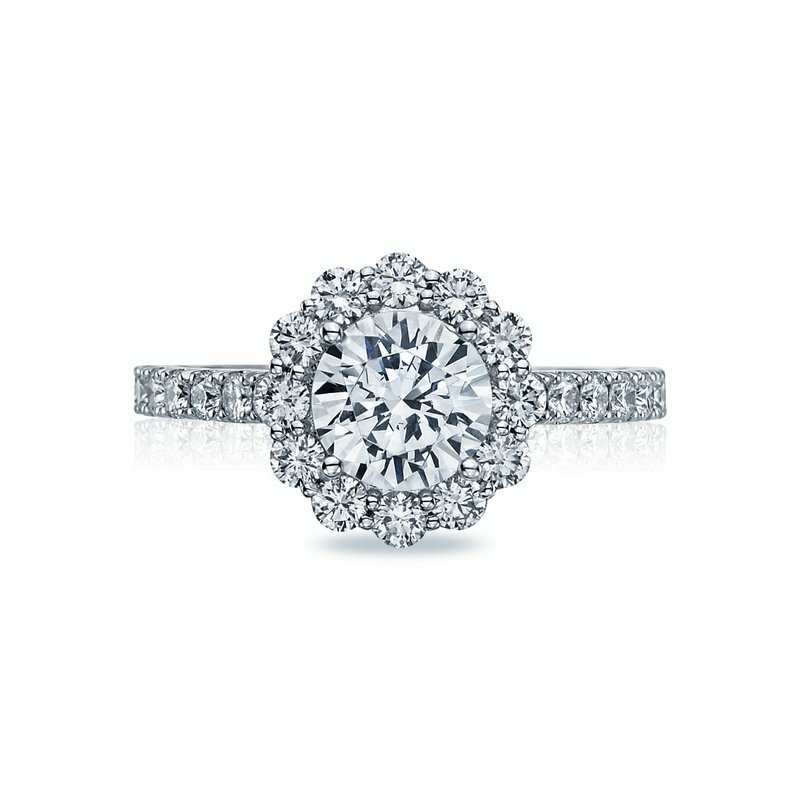 Round diamonds are set halfway around the ceiling of the ring, and completed with a signature Tacori crescent detail in the interior of the band. 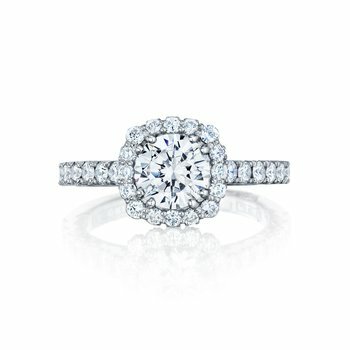 Does not include center diamond. 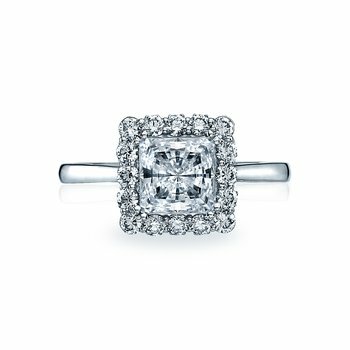 Adlers Jewelers is proud to be a Tacori "Platinum Retailer"
Tacori orders can be created within two weeks. 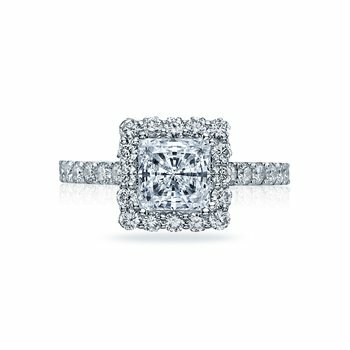 Spanning four decades, Tacori designs have fused classic elegance with modern inspiration, creating some of the worlds most highly regarded and exquisite jewelry. 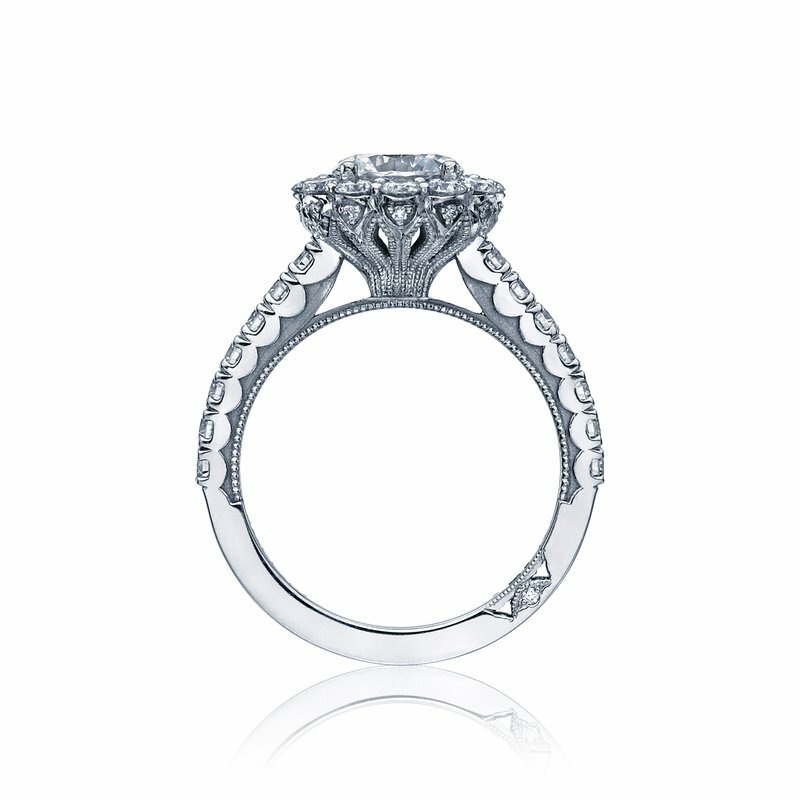 The stunning beauty and intricacy of each piece of Tacori jewelry is the result of an uncompromising passion for artisanship. 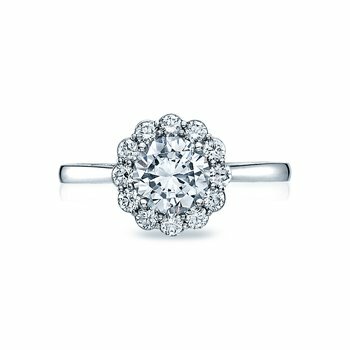 Handcrafted in California, these remarkably detailed rings and fine jewelry pieces become the timeless symbols of connection that join individuals and generations. There are many great reasons to do business with Adlers Jewelers. Please email us for information about our special offers and unique customer service benefits.